“A planet isn’t big enough for me. I need space and stars and nothing for light-years around.” (Kindle Locations 312-313). “You know, it’s a shame. Growing up. I bet you regret it now.” (Kindle Location 1632). Jude “Judy” Sprocket hates planets. She has to get off Earth. 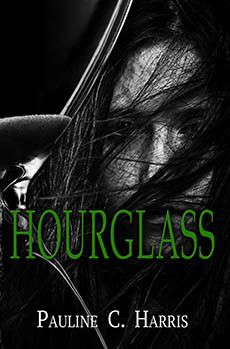 When her dad dies and wills her his ship “Hourglass” she decides to take it and get out of there. There is only one problem. She’s only 17 and without an adult present cannot legally take off. Her crew is full of underage and excited kids. Jacob Holden is her chief engineer at 16. Angelica Rivers is the Assistant Engineer and Salvager. Gregory Miller is a Salvager. Jacobson Keith is a salvager. Sylvia Smith is the medic. Judy is the Captain. Nothing will stand in the way of the stubborn captain, they are pirates after all, and they don’t exactly follow the rules. Not far from Earth, though, they encounter an uncharted planet. There is no way a planet this close to Earth would remain unknown, but the crew disregards any common sense they might have regarding an unmarked planet, and set down to investigate. Then all nightmares break loose. I loved the concept of this book. Harris cleverly disguised the connection of the book to a well-known children’s story, but brought this connection to light in her before chapter quotes. Her usage of elements of the well-known story was intriguing and kept me hooked and searching for more similarities. But, this story was unique and all its own, even with the comparison story and similarities present. The idea that there are space pirates who steal unwanted floating space junk is cool, especially when it is considered illegal. Harris took the hilarity of regulation and ridiculous government rules into space. Harris basically extrapolated what we know about travel and Earth and regulations and applied it to space. Harris kept up the tension and intrigue throughout the novel and kept her twists and turns within the realm of possibility. The story was exciting and the descriptions were great. Judy was a good, solid main character with her own set of flaws and fears, but she had backbone when it counted. The book also had an uncanny ability to translate the sense of creepiness, horror and dread the characters felt at times. Disclaimer: I was given a free copy of this story in exchange for my honest review. This novel was published by Fire and Ice Young Adult Books March 11th, 2015 and is available on Amazon here.